We know is really early and Christmas hasn’t really passed but us, suppliers work in a parallel universe and now is the time when we generally release our Spring Season cards for 2016. We have now expanded our Spring season range Bloom and added 24 new designs across Valentine’s, Mother’s day, Easter and Father’s day. The first ones we are sharing are our handmade greeting cards for Mum and Easter. For Mum, we have abundance of gorgeous flowers, quirky birds, delightful tea, cakes and bunting, all in lovely fresh pastel colours. We are delighted that our range had lovely mentions in two of the trade magazines: in September issue of Greetings Today (read here) and in October’s issue of Progressive Greetings (read here). 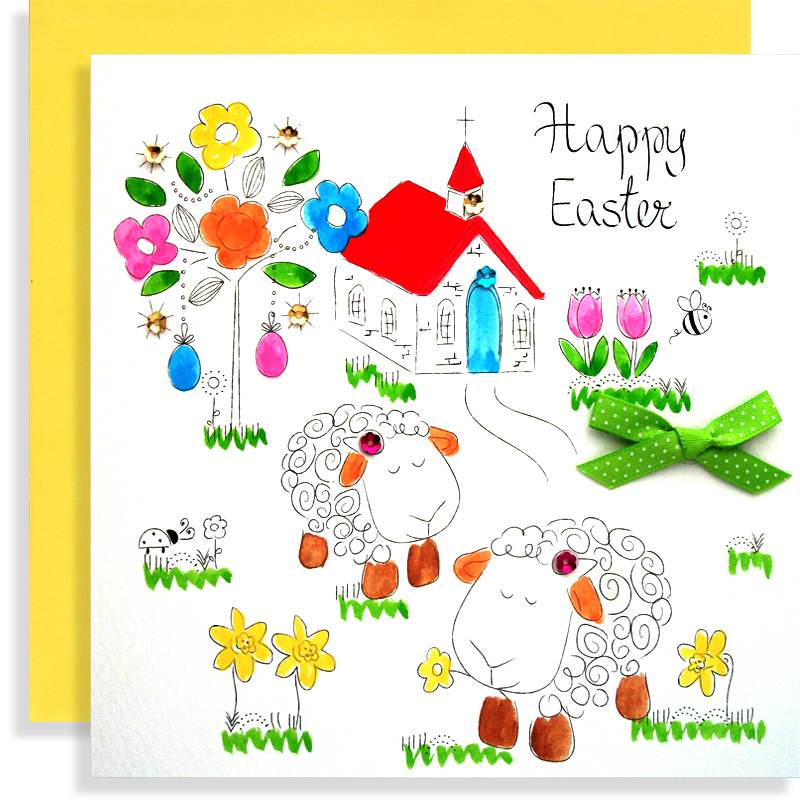 For Easter, we have more pretty flowers, birds and chocolate eggs, but also the typical symbols like Easter cross, covered in spring blooms and a church. Our contemporary cards are designed and printed on hammered board, here in England. We have combined hand-lettering with delightful illustrations and pops of neon pink colour. All cards are hand-finished with polka dot cotton bows and cup flower jewels, which we are sure will be true delight for the recipient. The cards are 145 mm square and wrapped in complementary envelopes. Hope there is something in the shop for you this Mother’s Day and Easter. 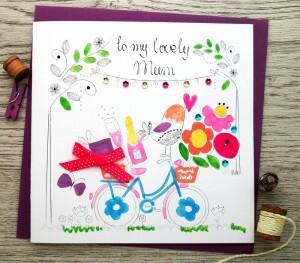 In the next post we will share our trendy Dad and Valentine’s greeting cards.